A water based active degreaser designed for fast and effective removal of oil, grease, and road gunk from your drive train and derailleurs, or other parts of your bike. If your pedaling experience is being ruined by increased friction, or you're having trouble shifting gears because your drive train is clogged up with gunk, Limon Velo is what you need. This water based degreaser from Crankalicious is designed to quickly and easily penetrate and cut through tough grease and grime on your cassette, chain rings, and derailleurs. It can even work wonders on stubborn frame contaminants that have been baked on by sun or time. 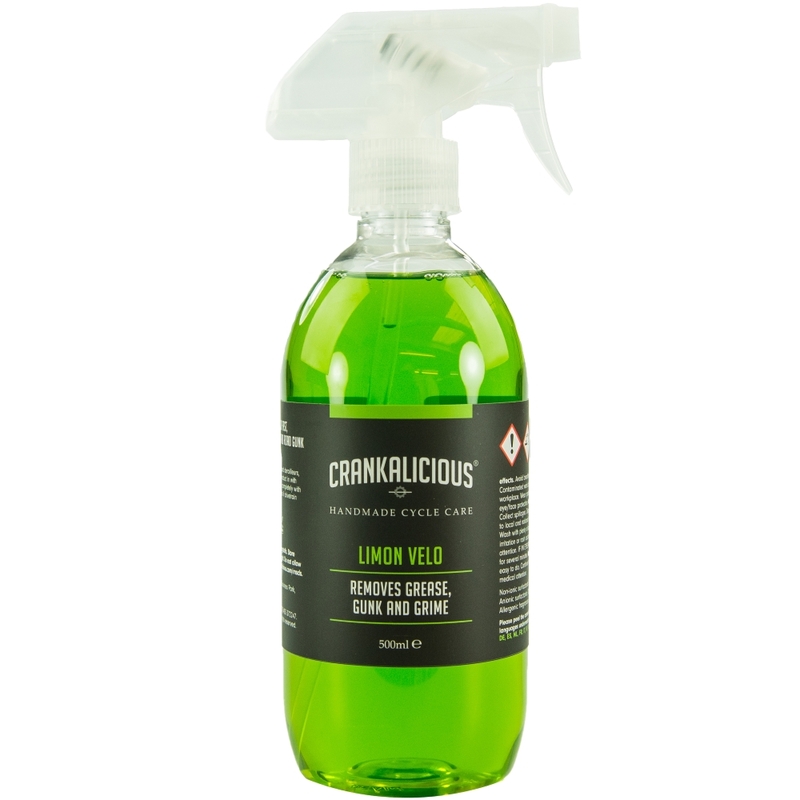 Simply spray Limon Velo liberally on the area to be cleaned, allow to dwell for 2-3 minutes, give a gentle scrub to aid cleaning, then rinse off with low pressure water. Available in a large 500mL spray bottle for at home as well as a great small and portable 100mL spray bottle.